6 months ago this old boy was reported to us. He was found by a tourist at Tanah Lot Temple scavenging for food. He was a hairless, crusty mess but he was kind, sweet and was waiting for help. 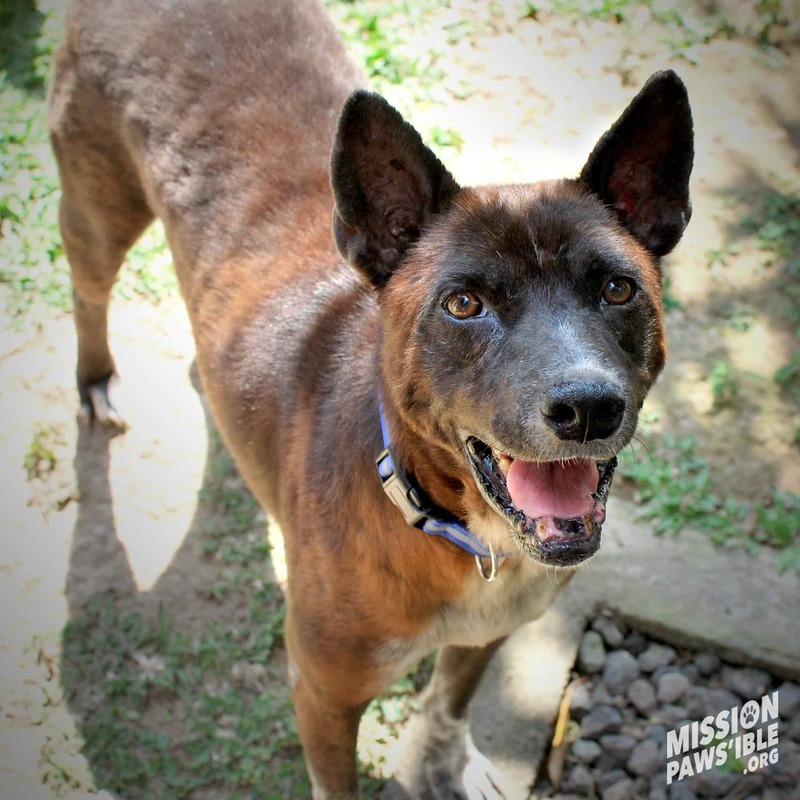 We called him CAESAR because he looked like stone but was a strong warrior Bali dog. His eyes are filled with deep mystery with 10+ years of stories from living on the street. His journey was not smooth sailing. Once a dog is rescued a can of worms often unfolds. 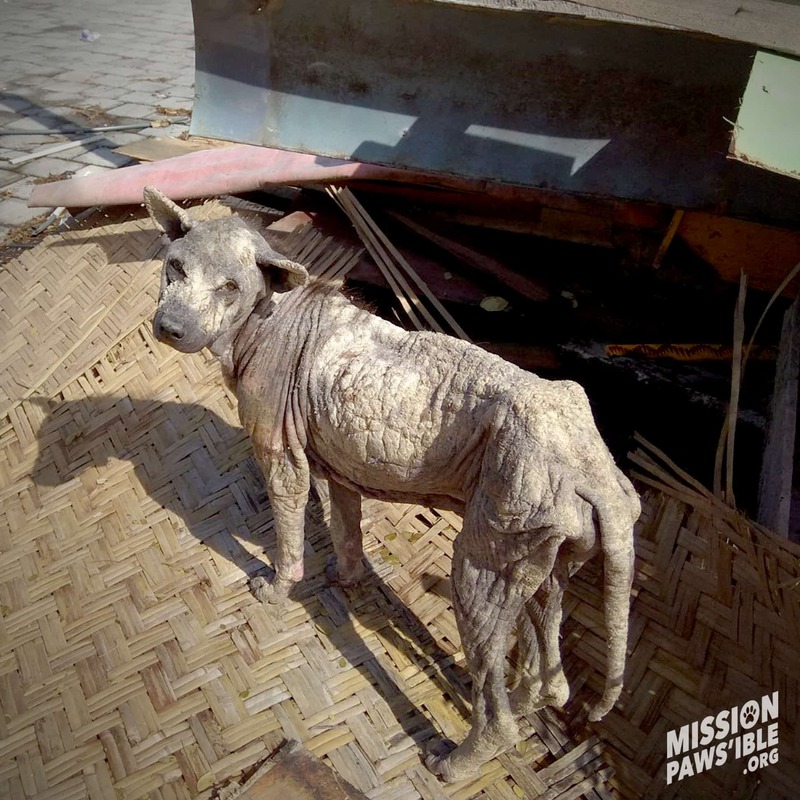 He was hospitalised at Sunset Vet Bali for several weeks to eradicate the scabies and mange. 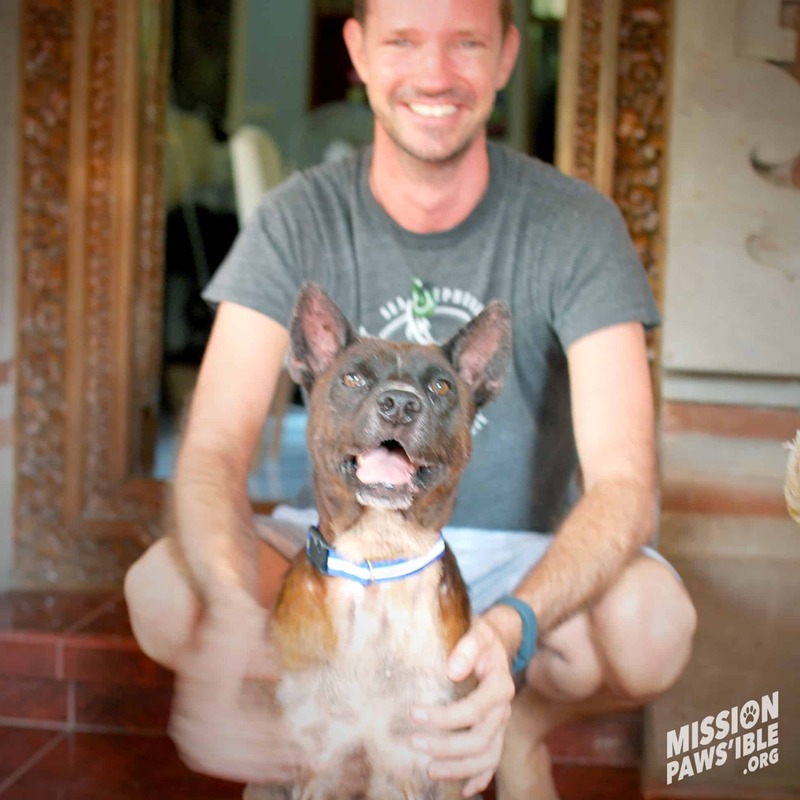 He was moved to Happy Paws boarding whilst he underwent his vaccinations and then moved to our sister project The Bali Dog Halfway House whilst we worked on the next step, a forever home. But then it was discovered he had TVT Cancer. Not only was CAESAR cancer free he caught the eye of a fine fellow who was looking for a canine companion. From ALL the cute puppies, happy and healthy dogs available Mike chose CAESAR. ‘I’m not looking for a dog to do anything, I just want to help save one and CEASAR is 100% the one I want!’. After their initial meeting CAESAR moved into his new home this week with Mike, Jo and little Norma, their other rescued pupper. He has been settling in just fine. He sleeps, eats, sleeps, repeat. What all retired dogs like to do. CAESAR really has found the future he so deserves. He is such a sweet and cheeky old boy. We just love him SO much and we couldn’t have wished for a better outcome! It also instills our belief that ‘every rescue mission IS possible’ and there really is a home for every hound. It just takes time and effort.  If you live in Bali (or abroad) please consider adopting a Golden Oldie! They really are the easiest dogs to have. They simply sit and chill out with you and love nothing more than a good meal, a safe and warm place to sleep and a few cuddles thrown in. TRUE LOVE IS A RESCUED PET! Adopt don’t shop where ever you live in the world.